Without a doubt smart GPS fleet-tracking devices deliver savings through increased equipment productivity and lower operating costs. But if your heavy equipment typically operates in remote areas, are you sure your tracking device is delivering on its promised value? GPS fleet-tracking devices with telematics capabilities that communicate over satellite deliver all the same benefits of their cellular counterparts but offer increased visibility of the asset even in the most remote regions. 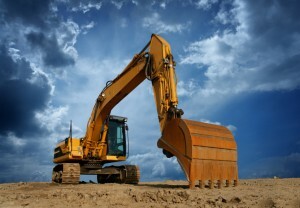 Tracking devices that send GPS information via satellite are able to monitor the location of heavy equipment even when they are in remote areas like mines, construction sites and oil & gas fields. Since you do not have to rely on cellular networks, you can locate misplaced equipment and, track stolen equipment or equipment being used during off-hours or in unauthorized areas. You can also guarantee the safety of employees by monitoring equipment and ensuring that it is not being used in a dangerous way that may threaten the well-being of the operator or nearby employees. Do your operators sometime “push the equipment”? Using heavy equipment at or beyond its specified limits not only risks the safety of employees, but also puts additional wear and tear on the equipment that increases maintenance costs. Using satellite-based tracking devices ensures that you receive engine and other equipment alerts immediately so you can meet your Health & Safety obligations and reduce costly equipment failures. With satellite-based tracking, equipment maintenance scheduling can be based on accurate engine usage hours and automatic service alerts; no more unnecessary maintenance based on recommended schedules. Satellite-based tracking devices can also inform you of any mechanical problems that need urgent attention so they can be corrected before they cause unnecessary downtime, leading to lost revenue or costly fixes – no matter where the equipment is located. Do your employees have “favourite” pieces of equipment? The problem with favorites is that it leads to greater wear and consequently need to be maintained or replaced sooner compared to the rest of the fleet. By accurately tracking the usage even when working in remote regions, you ensure that you spread the wear and tear across every piece of equipment and reduce or defer capital investments until you really need to. Ongoing costs can add up so it is important to save wherever you can and to increase profitability. Continuous monitoring of equipment and alerts using satellite-based tracking devices can warn you of events like fuel theft, excessive idling, rough driving and other events that eat into operational budgets. It can also help you accurately track overtime hours and ensure that you are being billed accurately for equipment use, even when you are working in remote areas. Tracking devices that communicate over satellite can help control everything from initial equipment costs to maintenance costs. To find out more about remote monitoring solutions that reduce the costs of providing total visibility of your heavy equipment, please Contact Us.